West Side Campaign Against Hunger has been a leader and innovator in the hunger-relief space since 1993 when it first introduced its mobile food pantry. Which gave clients the chance to choose from an assortment of healthy and fresh food options, an option still rarely offered to clients who utilize food pantries out of necessity “WSCAH prides themselves on two things. The first is choice….they also specialize in locally sourced, fresh produce. Many pantries rely on canned goods for obvious reasons, but WSCAH is trying to make sure that families receive quality calories.” says Sara Chapman, NMIC’s Education & Career Services Director. Offering clients, the opportunity to choose from locally sourced fresh produce, as opposed to canned food items, not only provides families with healthier food options but also tremendously reduces the cost of food from 88 cents to 55 cents! 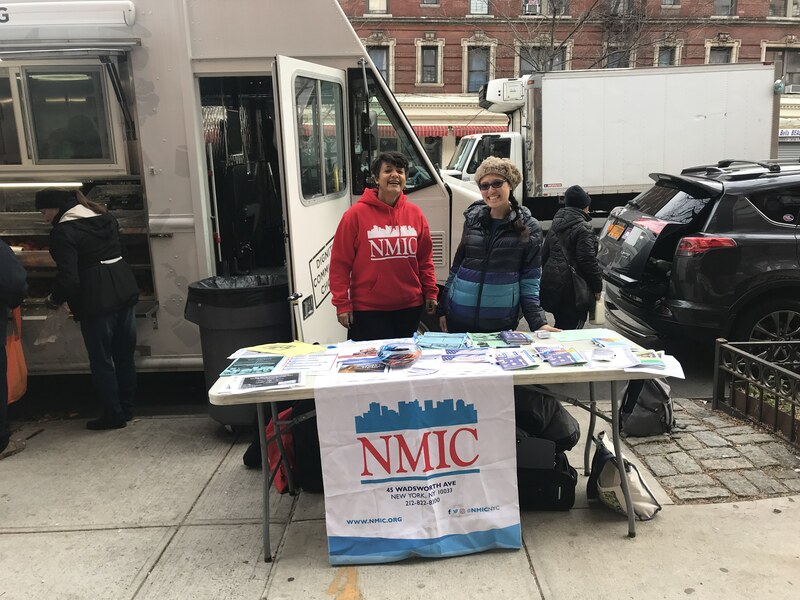 “The mobile pantry helps us better connect people to services and programs because we are doing it in partnership.” Says Ysabel Abreu, Community Outreach Coordinator, NMIC. WSCAH and NMIC’s partnership is about bridging community members to the services they need and collectively serve clients with our resources, to truly push for stronger and healthier communities. NMIC utilizes its strong community roots to raise awareness and point families in need to the WSCAH food pantry, while clients from NMIC’s Train & Earn Program pursuing customer service and food handler certificates have access to internship opportunities at WSCAH and can even enroll in their Chef Training Program. 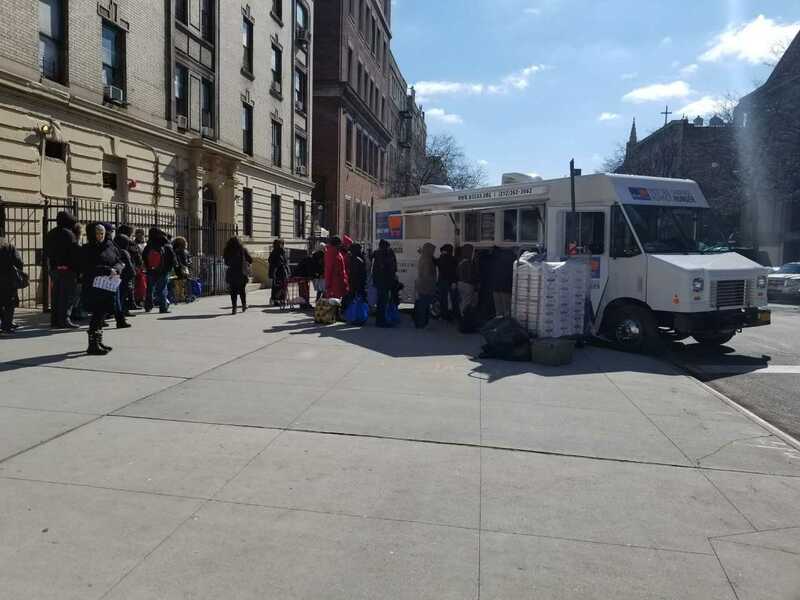 If you would like to learn more about the mobile food pantry and register, please call 212-822-8300. For more information about enrolling in NMIC’s Train & Earn Program call 212-822-8325.